QRS has combined these five technologies to create a unique Geo-fenced reporting system that is the basis for all of our software. QR or Quick Response Codes are a type of two-dimensional barcode that can be read using smartphones and dedicated QR reading devices, that link directly to text, emails, websites, phone numbers and more! You may have even got to this site by scanning a QR code! Geo-fencing (geofencing) is a feature in a software program that uses the global positioning system (GPS) or radio frequency identification (RFID) to define geographical boundaries. A geofence is a virtual barrier. A cellular network or mobile network is a communications network where the last link is wireless. The network is distributed over land areas called cells, each served by at least one fixed-location Transceiver known as a cell site or base station. The Internet is the global system of interconnected computer networks that use the internet protocol suite to link billions of devices worldwide. It is a network of networks that consists of millions of private, public, academic, business, and government networks of local to global scope, linked by a broad array of electronic, wireless, and optical networking technologies. Cloud computing, also known as on-demand computing, is a kind of internet-based computing, where shared resources and information are provided to computers and other devices on-demand. It is a model for enabling ubiquitous, on-demand access to a shared pool of configurable computing resources. Cloud computing and storage solutions provide users and enterprises with various capabilities to store and process their data in third-party data centres. 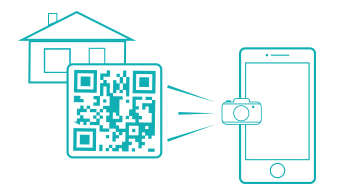 QRID stands for QR Code Identity or QR I.D. and is pronounced like Krid or Crid. A QRID is a customized checklist housed within a humble, unobtrusive QR code located on our unique QRID Card. Each property is assigned its own QRID Card, customized to that location. Each QRID may have multiple checklists assigned to it such as: Home Watch checklist, emergency checklist, cleaning checklist, pre and post storm checklist the amount of checklists is unlimited per QRID you decide how many you need, it’s totally customizable! Thanks to QRIDit's QRID Matrix oriented report system, creating location specific Checklists for your team to engage with could not be easier. Simply build your checklist by using the intuitive and user friendly QRID Builder, generate your QRID Card and attach it to your client's property ready to deliver the Checklist information to your assignees when they arrive. The Staff member arrives at the property, Scans the QR Code on the QRID Card using our QRS Reporting App with their smart phone or tablet. They then choose the checklist that is suited for their visit and complete the checklist, adding photos or comments where required. 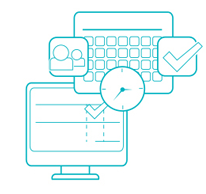 When completed, the Checklist is submitted from the team members handset and immediately sent to your QRIDit account as a full, completed report. The submitted report can then be quickly assessed, adjusted and forwarded to your client within seconds or you can allow the staff member in the field to send the report directly to clients private dashboard the choice is yours. We are committed to making QRIDit® Home Watch the most user friendly business management solution out there. Keep up to date with new features by visiting this site or by checking in on social media.